To get noticed, think beyond stand-alone videos. 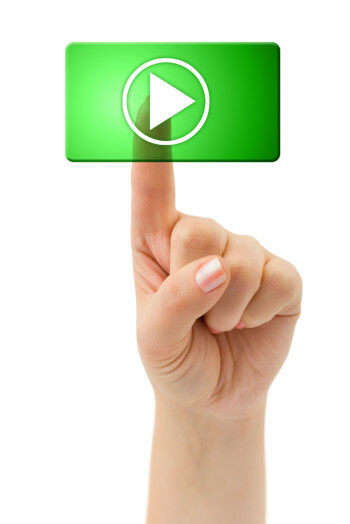 For greater reach and exposure, create a series of content-rich videos that you publish regularly. Not only will this create a great synergy around your content, but it will also allow you to build upon your brand identity as each video is released. Please Read: Branded Video: Why It’s Attracting More Companies By the Day..
Never miss the opportunity to ask your viewers to take some type of action at the end of your video. You can ask them to sign up for your newsletter, go to a specific website, leave a comment about your video or visit your blog. If your video is good, you’ll likely have their full attention; make sure to take advantage of it! There is a lot of sales clutter on the web and you want to make sure you come out above this. There is nothing wrong with selling your products or services, but use your video to define a problem, discuss solutions and support others—when you combine the three, your video will attract the right following. Be sure to optimize your videos with strategic and specific keywords in your videos’ titles, descriptions, and tags. Use your website’s text pages as a kind of “map” for Google. To help the search engines figure out what your videos are about, embed videos into text pages on your site that are relevant to your video. Target specific search phrases, not just search words. For example, instead of just using “Spring Break” as a keyword for a spring break targeted hotel, use “Spring Break Hotel” for a better chance of showing up on the front of search results.